Every few years, the ACCC looks at the prices telcos and their customers pay for access to Telstra’s ageing copper network. Thankfully for our customers, these charges have always fallen – allowing for more competition, better regional access and lower prices for Australians. Recently, Telstra asked the ACCC for 7.2% price rise on the use of its monopoly assets. This rise is despite the fact Australians already pay some of the highest residential line charges in the world. iiNet believes any increase is clearly unjustified. The following open letter from Steve Dalby is a response to Iain Little, Telstra’s director for operations and economic analysis, regulatory affairs. I am writing to respond to the comment piece in Communications Day on 27 November 2014 by Iain Little (Telstra’s Director for Operations and Economic Analysis, Regulatory Affairs) which seeks to justify a 7.2% increase in access prices for the declared fixed line services supplied over Telstra’s copper network. Mr Little attempts to take a suggested 7.2% price increase and argue that, of course (! ), this really “… equates to a 3.6% real price reduction”. He also declares “nor should anyone get a free ride”, then blithely proceeds to outline a scheme to protect Telstra from the downside of obsolescence. This man has clearly missed his vocation and should be in politics. Mr Little makes two unsound and unconvincing comparisons to justify the requested price increase. The first is with a 250% increase in the price of bananas following the decimation of the banana crop by Cyclone Larry. The second is with Australia Post’s decision to raise the price of stamps from 60 cents to 70 cents. 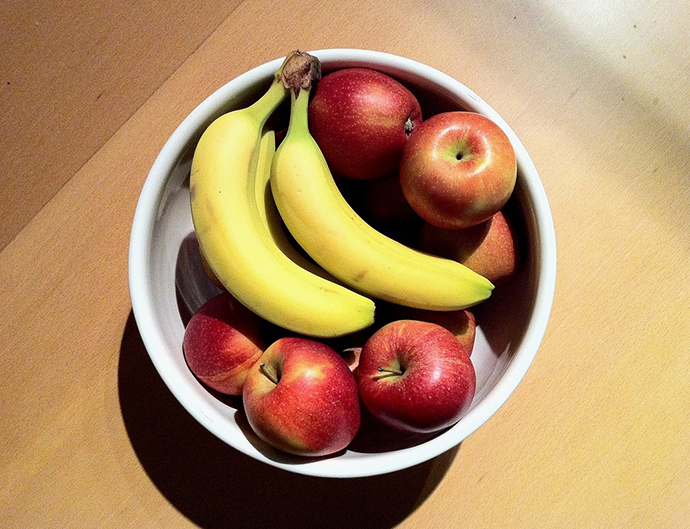 The comparison with the price of bananas after Cyclone Larry is an entirely irrelevant comparison because, in that situation, supply had significantly declined, compared to demand, whereas the opposite is the case for Telstra’s copper services – i.e. demand is falling, compared to supply. So to use the increase in the price of bananas following Cyclone Larry as a justification for increasing the price of Telstra’s copper services is quite simply a classic case (dare one say), of comparing apples with bananas. The more relevant comparison is Australia Post. However, this also fails for the fact that Mr Little, perhaps conveniently, does not mention that a major cause of falling demand, for Telstra’s copper services, is the NBN – and Telstra is more than handsomely compensated for this migration. This is a fundamental difference between the position faced by Telstra and the position faced by Australia Post. The fact that Telstra is being compensated for falling demand caused by the NBN was not lost on the ACCC when it last considered this issue in 2011. iiNet hopes that the ACCC stays strong and approaches this issue in the same way that it did in 2011 so that common sense can prevail. iiNet believes that a suggestion to implement a margin protection scheme for Telstra, by increasing prices for legacy services, is quite controversial in circumstances where prices for those same services have been trending downwards for the last ten years. This demand by Telstra for a price increase against Australia’s already poor ranking in telephony pricing is further cause for alarm. It’s time to choose your NBN plan! Spending money on laying fibre optic cable, good. Spending money on maintaining existing copper wire network, also good. Spending money replacing existing high capacity copper networks with fibre optic, bad. Agree wholeheartedly. And, another point that seems to have slipped from Telstra’s (and others)field of perspective is that it was created by and for Aust. Taxpayers. Yes that’s right. No private capital and now they have the gall to gouge tax payers yet further. My own thoughts are that Telstra should never have been sold anyway and, with a Malcolm Turnbull as Minister could have been dragged kicking and screaming into the 21st Cent. 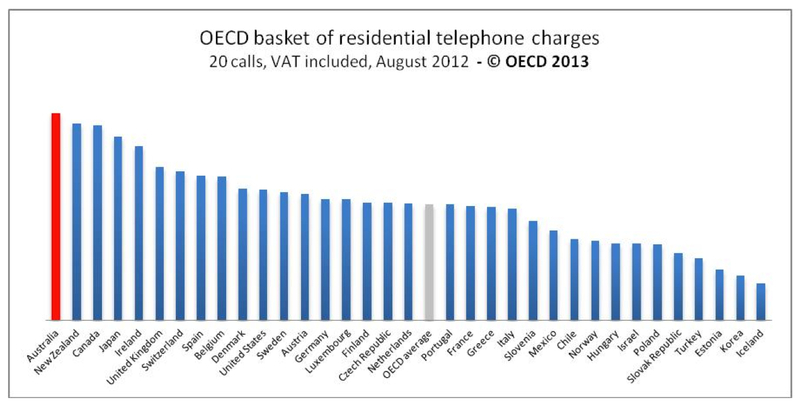 I don’t necessarily agree with Iain Little’s arguments regarding his proposal but I think if Steve Dalby is going to make his argument on the “apples and bananas” principles, pointing out that supply and demand contexts are different, I think it’s a bit hypocritical to then post a chart of the OECD telephone charges on their own. Telstra do have an obligation to maintain a lot of infrastructure, over a vast geographical area. I’d be interested to know how our charges compare to the OECD countries when the distribution of population is also taken into account. Strangling Telstra’s revenue may lead to diminishing serves that many of us (including iiNet’s customer base) rely upon. leave one of their customers with a usless system for 5 days like iinet have to me. I have been with them for over 5 years (which they were happy to take my $3000+ for ) but now that the BOB is no longer working they want to charge me more money to get a working modem & handsets. Yet their opposition gives this stuff away to new customers. Go figure, new customers get everything ,loyal customers get nothing. time to wake up iinet. Sorry to hear that you’ve been having some trouble with your BoB hardware, we take it you’ve had the modem for longer than 2 years so it’s outside of it’s warranty replacement period? Has the modem been recently upgraded to the latest firmware and given a factory reset? Sometimes flaky modems can be brought back from the brink with a factory reset so it’s definitely worth a shot. As always you can get in touch with our support team 24/7 if you’d like a hand. If you’re not currently on a contract with us you can also discuss getting a discounted new Budii Lite modem by re-contracting. We’re sorry to hear this! There can be confusion when line transfers occur, as these go through an automated process, via the wholesaler. One of the quirks of the process, is that the line will show as being released by a previous provider but yet the acquiring party still sees it as being held by them. Its frustrating but does usually correct itself within a day or so. If this hasn’t been sorted out, please feel free to contact us at iionline@iinet.net.au and we can arrange for staff to jump in to lend a hand.